Members Choice is a not-for-profit cooperative association formed by the people, for the people. We were specifically created for the purpose of encouraging thrift among our members, and creating a source of credit at a fair and reasonable rate of interest. As a member, you are also an owner and have a voice in the operations and management of your credit union. Our operations are controlled by a volunteer Board of Directors. We are open to the community and offer membership to anyone who lives, works, worships, or attends school in the FIVCO area. Members Choice CU is committed to our community, offering financial services to underserved populations, engaging youth in financial education, and returning profits to our members. We serve the community to support our partnership and improve the excellence of life for everyone. Enjoy camping in a peaceful countryside setting that includes convenience. We are centrally located to several main travel routes, with multiple options of nearby restaurants, local festivals, events and historical sites. Take a few days to explore the many attractions of nearby Country Music Highway or enjoy simple country drives to the many local historical sites in the area. Our sites are all full hook-up, slide out friendly, and spaciously set. Every site has cable available. Big-Rig pull thru’s are often available without interfering trees, making satellite service very accessible. Heat and Air conditioned camping cabins and cottages with private full bathrooms and cable TV offer a chance to kick back and relax in a comfortable, yet rustic atmosphere. Try a cabin with a deluxe patio on your next visit. #1 for Great Family Fun! Kentucky Farmers Bank is proud to be your locally owned, locally operated community bank. We have been providing for the community since 1931 and look forward to the opportunity to serve you for many years to come. 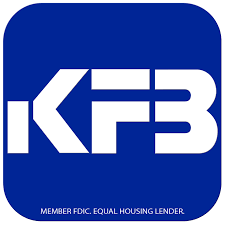 We are widely known as the “Better Bank” as a result of our dedication to giving our customers better service through our friendly staff, low fees and better conveniences such as: KFB’s instant issue debit cards, Asset Management Services, KFBmobile banking, and our anytime, anywhere KFBank Online. Come join us at Kentucky Farmers Bank and experience banking as it was meant to be. We look forward to meeting all your financial needs. We’re a family restaurant. And, we believe our family is every member of every community that has a Texas Roadhouse. It is important to give back to the communities that are so much a part of Texas Roadhouse. That means playing an active role in the events that shape the lives of the people we live and work with. That’s why you’re likely to see Andy the Armadillo at your local little league game or reading to the children in your local schools. That’s also why you’ll see our Roadies both in the restaurant and out in the community supporting your local charitable organizations, schools, and fundraisers. DQ® MISSION: To create positive memories for all who touch DQ. DQ® VISION: To be the world’s favorite quick-service restaurant. Dairy Queen® (DQ®) franchisees, employees and crew members have been focused on creating positive memories for all who touch DQ, for over 75 years. Unlike any other quick-service brand, DQ food and treats hold a special place in the hearts of fans of all ages, from all around the globe. That’s why DQ fans have always been our top priority and why we continue to look for new ways to surprise and delight them. Doing so is our passion. It’s what sets DQ restaurants apart and is what is helping us reach our vision of being the world’s favorite quick-service restaurant. At Glockner you will find the vehicle you want with 11 franchises and over 1,500 vehicles in stock. We also guarantee you low prices with Live Market Pricing because we monitor competitor’s websites daily to give you a great price on your vehicle. You know where your car has been with free vehicle history reports and you can shop by payment to get a car within your budget. We value your time by providing the shortest sale process in the business. And did we mention we are a KBB Premier Partner? Enjoy savory ribs, brews and live music. 30 minute call ahead seating available. Call 606-928-5635. 1320 Wolohan Drive Ashland, KY 41102. Opening soon! Possibly June 2019!!!!! The New Standard for Steak & Seafood in the Tri-State! No need to search through thousands of products, our site is simple and only offers the best products to come out of Appalachia. All of our products were made here by years of testing and fishing in Appalachian streams and rivers to ensure that you catch fish. No matter the species, we have products for all. At Wagner Rental and Supply, we have been providing equipment rental, construction & safety supplies and equipment sales and service for Southern Ohio and Northern Kentucky since 1949. Family-owned and operated, our Ashland, KY rental store has been meeting this area’s needs in bothequipment rental and equipment sales for four generations. We are proud to serve you with quality equipment rental, equipment sales and most importantly, quality service. We have an extensive equipment rental and sales inventory, so please start your tour of our site using either the Search by Category page to the left or the Search on Keywords bar.